Cooperation between medium-sized companies and universities and other research institutions is particularly well advanced in Germany. Cooperative efforts between Werth Messtechnik and the Physikalisch Technische Bundesanstalt (PTB-the German National Institute of Metrology) in 1998 resulted in a tactile optical micro stylus. This patented measurement principle uses the flexible glass fiber solely for positioning the probe sphere, which can be as small as 20 µm in diameter. The deflection of the sphere is measured optically by an image processing sensor. This principle results in lower probing force, higher accuracy, and improved robustness, particularly in comparison with conventional micro-styli. 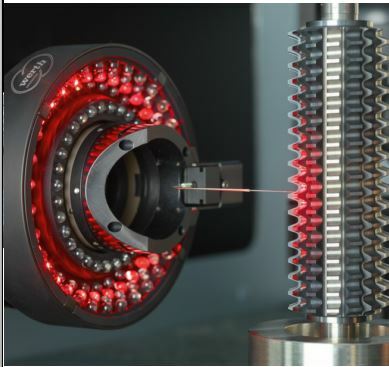 The 3D Werth Fiber Probe was developed from the original 2D principle in 2011. It can use practically all measurement methods familiar from conventional tactile probes, such as single point probing and scanning.